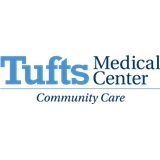 Tufts MC Community Care-Malden/MelroseOBGYN (Malden) - Book Appointment Online! Crystal was amazing and answered all of my questions. She’s sweet and kind and so easy to talk to! Dr. Blackstock was attentive and professional and really listened to help figure out the root cause of a health issue I was presenting with. She is to-the-point and explains things well. The wait time was reasonable. Definitely going back! She was so nice and very thorough. Sat down went through every piece of my paperwork with me, offered me a flu shot on top of my annual appointment, and met with with me to recap in her office after.